Read A Book Day Competition! 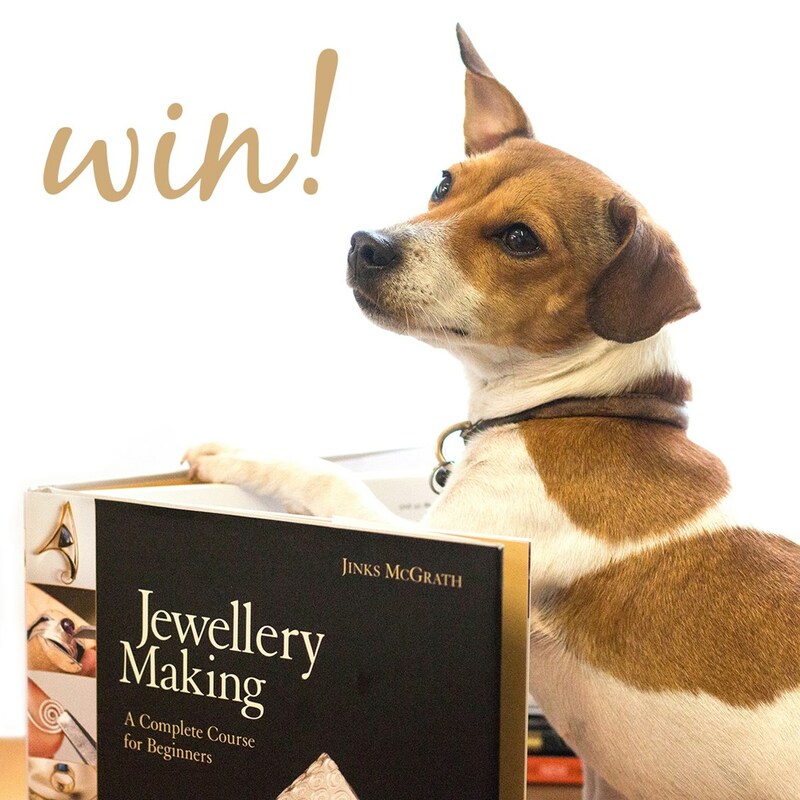 Win A Jewellery Making Book! 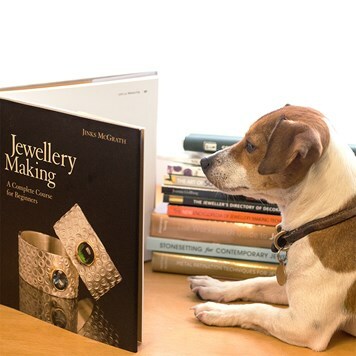 It's Read A Book Day, and what better way to celebrate than giving away one of our most popular books - Jewellery Making: A Complete Course For Beginners by Jinks McGrath. All you need to do is find a photo of our office dog Millie hidden in one of our book products! Browse our range of books here and fill out the competition form below, including your answer of which book Millie features in. The photo will be hidden as an additional image in a book product - so you need to click into a product to see if there are any additional pictures including Millie! T&Cs found at the bottom of this page. One winner will receive 'Jewellery Making: A Complete Course For Beginners' written by Jinks McGrath. This is a best seller and a great resource for beginners, McGrath shares advice on finding inspiration, getting started with tools and equipment, as well as a range of techniques and step by step projects to try too. Congratulations to our winner, Eleanor Stevens! Behind The Scenes With Millie, The Model! 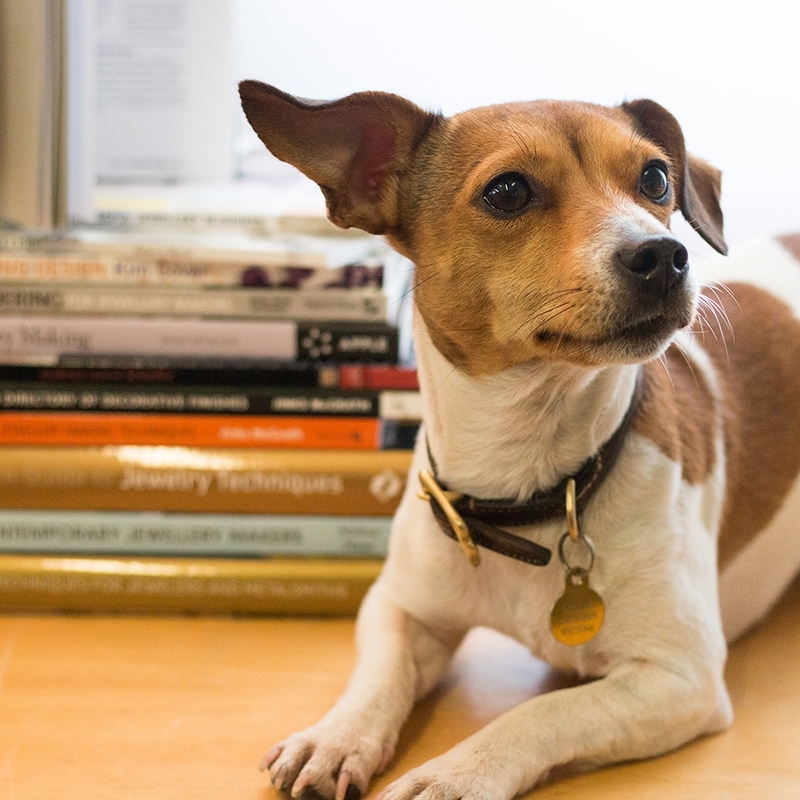 Come behind the scenes with Kernowcraft as we share with you a day in the life of Millie, our adorable office dog. 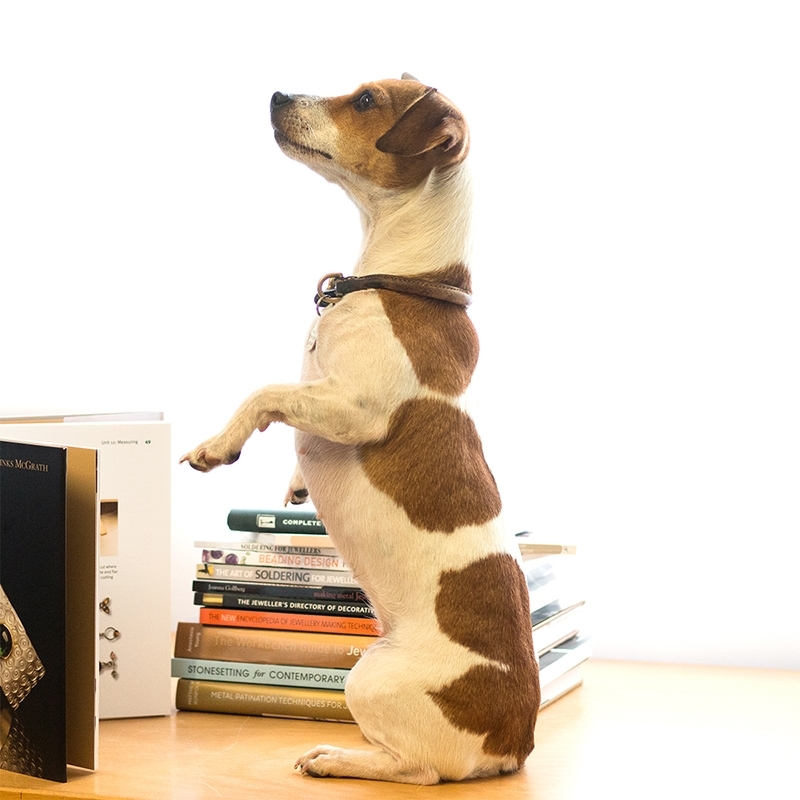 watch as Millie spends the afternoon posing with her favourite jewellery making books, while practising her tricks and enjoying some treats. Find out more about the small team here at Kernowcraft. This competition entitles one winner to receive 'Jewellery Making: A Complete Course For Beginners' by Jinks McGrath. To enter the competition, entrants need to find which jewellery book product we have hidden a picture of Millie in and fill out the competition form. The competition ends 20th September 2018.